Looking for an inspiring sound library with a nice selection of tuned textures and soundscapes? The Light from Soundethers is a professional sound library that is based on field recordings and deep tuned underscores that utilize version 1.4 of the free Photosynthesis Engine. There is a folder with each of the 25 single layer “field recordings” bare. Very nice stuff. Processed very well. It is really fun to play the 50 layered Kontakt Instruments. Some of them are exceptionally good. Soundethers did an excellent job of making the 3 layers blend into musical soundscapes. I could imagine the sounds being used in a variety of genres and projects, most notably cinematic and ambient, but pads can be used almost anywhere in any style so they could cross into other territory. – 25 patches with the single raw field recordings, seamlessly looping (samples length from 30 sec. to 7+ mins.). 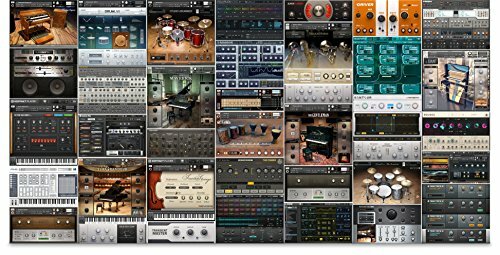 – Total patches 75 – 1,30 GB uncompressed, 44,100-24-bit Wav/Ncw format. I found The Light inspiring and think you will too. Check it out! More info on The Light at the Soundethers website.